Just how big is Dortmund? He looks bigger than the Big Beast! I have missed Dortmund and I'm really glad he is back again. He was 17 hands pre-Derby, he's probably grown since. He has had a least one official work. Glad he is back. I really like him! Holy cow! And not just tall but big all over! What a cute Dorkmund Love this giant boy. 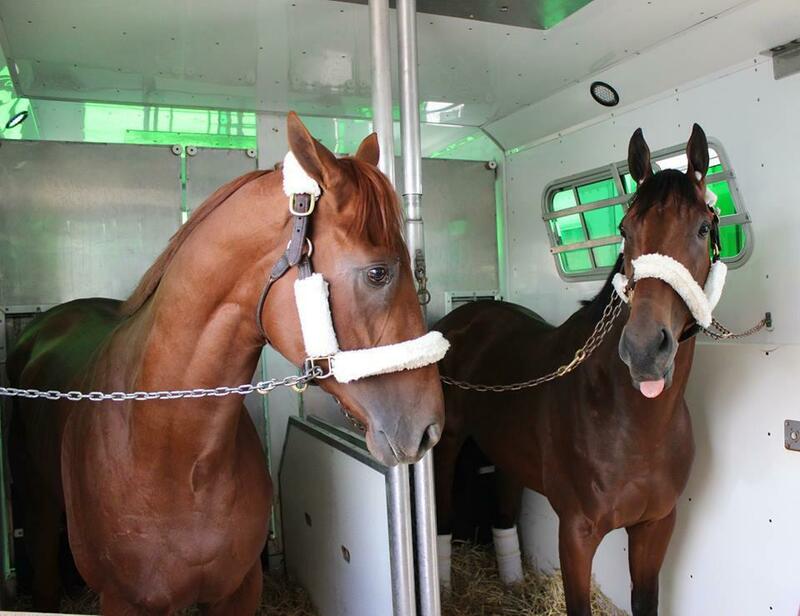 You guys have seen the pictures of Dortmund and Pharoah shipping to Pimlico together, right? No way is he going to get THAT big. He's growthy, but not that growthy. And stallions tend to be shorter than geldings, just wider. Glad to see he is back in training. Big handsome hunk. So glad to see this big boy back. Godspeed. The BB boys are big. How big is this guy? Last I heard he was 17 hands. Good job Dortmund. Glad he is back!! I'm so glad Dortmund ran so well. My friends were at SA today (I have been working 6 nights a week since July.....with an occasional weekend off because I have a photography job), anyway, Bob Baffert saw them and invited them into the winners circle photo. I love you Dortmund. So glad you are back.